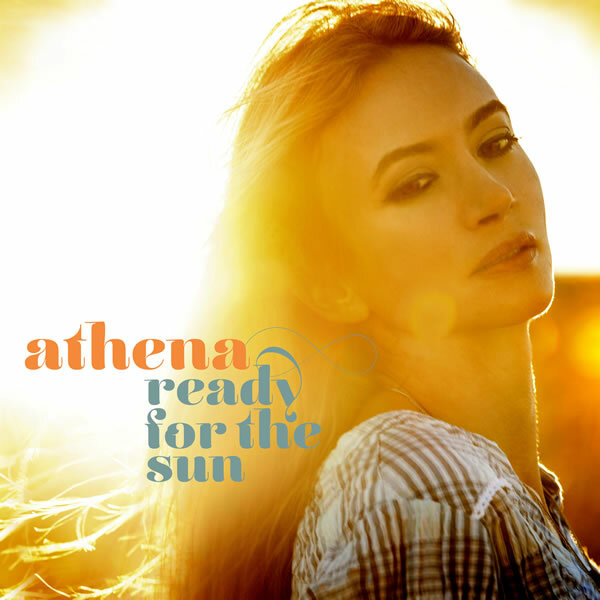 Athena’s brand new album, Ready for the Sun, is out now! One of the best things about Athena and this release is her ability to find the substance in the lyrics while simultaneously creating catchy, contemporary pop sounds that draw you in. When Billboard Magazine recognized Athena Andreadis as “a talented rising star,” it’s easy to see why fans around the world have been creating hype about this British – Greek Londoner’s unique singer – songwriter style and powerful voice. With several records and awards under her belt including Best Folk / Singer Songwriter Album at the Independent Music Awards (USA), companies like Starbucks started to pay attention and selected Athena as their exclusive artist to feature her UK and Greek albums and help raise money for local charities In Greece. Athena Andreadis has sold out international shows, topped the UK charts including Amazon Top 5 and Virgin UK Charts, as well as the US charts Amazon Top 3 and Athena songs have been has been licensed, synced (Visit England campaign during the London Olympics, Silent Night by Save the Children, Concern, Channel 5 and Sky Arts documentary U.K.) and featured internationally on television series, movies, TV commercials, ads, BBC radio stations, and shows broadcasted by US channels NBC and CBS. Athena has the same clear vision that marks out Ed Sheeran or Adele and it’s matched with a fresh, limitless ambition to boldly stand out as “brave and original” ( The Guardian ). All of Athena’s records – Breathe With Me, Peeling Apples, Giini Aggeli (Earth Angels), Ready For The Sun – are made under her own record label Embraceable Records. Sony, EMI, Universal, MINOS EMI, Proper, Orchard, Believe Digital and Burnside over the years, following Anni DiFranco’s and Madonna’s lead. Athena has worked with renown producers and songwriters including Eric Appapoulay ( Natasha Bedingfield, Cat Stevens), Richard Causon ( Ryan Adams, The Kings of Leon ), Adam Levy ( Norah Jones ), and Ethan Allen ( Ben Harper, Sheryl Crow ). Athena Andreadis has sang and performed internationally, she has sold out tours, singing around the world, giving international performances at world-class concert halls and festivals from the Royal festival Hall and Glastonbury in the UK, to SXSW and performed at the Cradle 2 Cradle gala conference in New York City (which was attended and supported by brands from Stella McCartney to the chairman of Google) in the U.S.A. In May 2016 Rolling Stone magazine talked about Athena’s environmental work as an ambassador of the Plastic Pollution Coalition (USA) alongside other notable individuals Maroon 5, Jack Johnson, and Bonnie Raitt. Most recently, Athena took on a new adventure and moved to Los Angeles. Shortly after her move, she was invited to join Leonard Cohen on his latest album, You Want It Darker on which she sings the Greek influenced, hauntingly beautiful, “Traveling Light”. Athena initially learned of her hero’s awareness of her during an interview years prior, in which a journalist shared that when she asked Leonard who his favorite Greek singer was, he had quickly responded with Athena as his choice. The singe became the album’s single reaching the 3 million mark and won a Grammy in 2018. The music video of her infectious first focus track, “You Bring Me Luck,” has a playful and whimsical storyline and features special guests such as Josh Randall and the world famous award-winning “Ugliest Dog” Rascal, who has appeared on shows like America’s Got Talent, while the production team behind it is responsible for the videos of artists such as Rihanna and Justin Timberlake. The second focus track due for release shortly is called “Stronger”. The “You Bring Me Luck” single is sang by the Fuller House cast ending the Netflix hit series season 3 in song (John Stamos, Bob Sagat, Jodie Sweetin).